What Kind Of Spiders Exist in Kansas City? Let us help you identify the type of spiders frequenting your home this winter! Need help with pest control in Kansas City? Call Gunter 816-444-2847 to save the day! 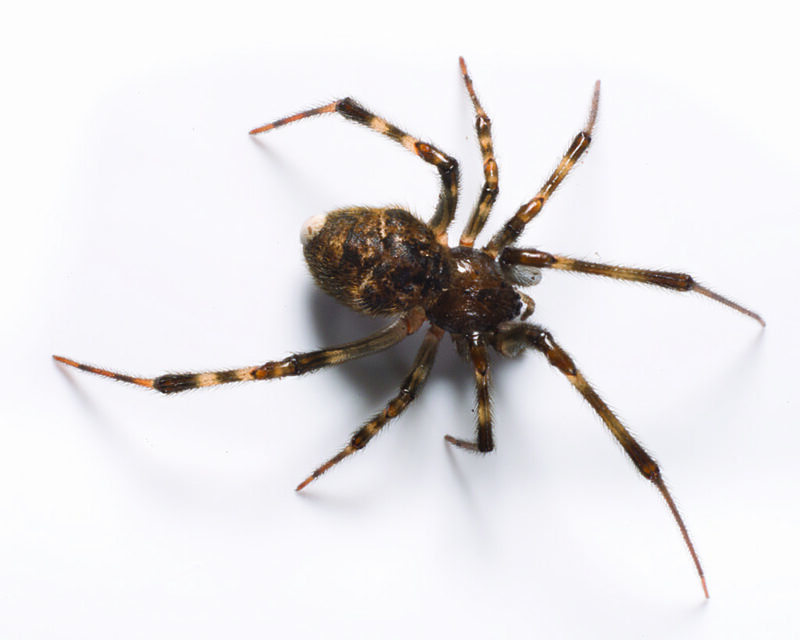 Spiders aren’t a seasonal pest, but many of our customers notice an increased presence in their homes in the early fall months as the arachnids become more obvious while they search for a mate. Do you have spiders in your home? Remember to contact us for your pest control needs. Below are a few of the creepiest crawlers that love to Haunt Your House once fall hits. We’ll help you identify spiders native to Kansas City that you may find and that we’re happy to help treat! Identifying features: House spiders are often yellowish-brown in color with an elongated abdomen. These are normally the spiders we receive calls about. Outside, they are often found spinning webs around windows and under eaves, especially near light sources that attract prey. They are a nuisance but pose no threat to humans. -Dark and damp places, such as cellars, basements and crawl spaces. 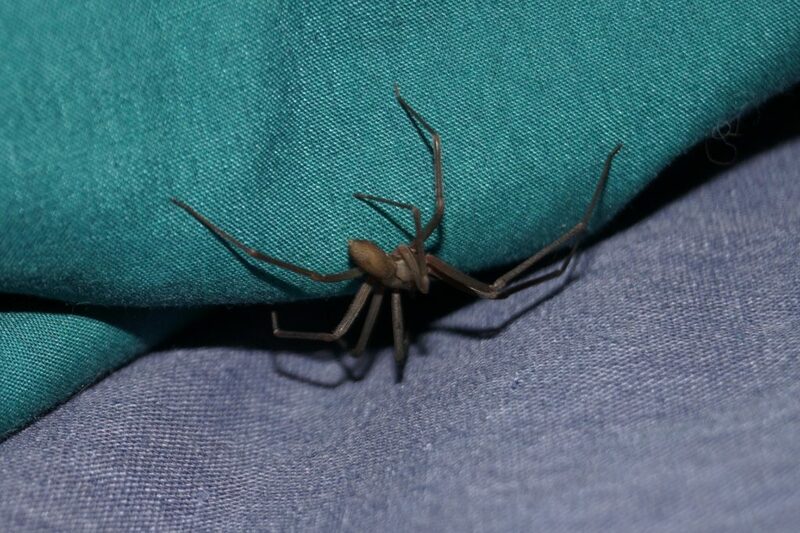 True Facts: Cellar spiders do not bite and therefore pose no threat to humans. True or Myth? : Urban legend has it that their venom is the most deadly of all spiders, but their weak mouthparts keep them from injecting venom into humans. Perhaps the creepiest of them all, the thought of these nonaggressive spiders is more terrifying than their actual presence. Their name says it all — they love to HIDE and you probably won’t see much of them unless you really go searching! Are brown recluse spiders found in Kansas City? Yes. 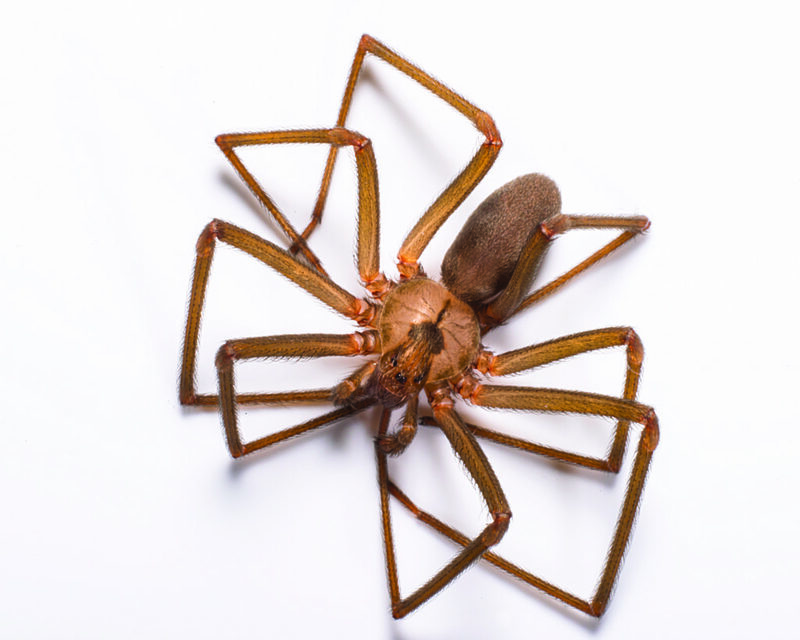 Brown Recluse spiders in Kansas City are spotted mostly in older homes and business. These spiders are rarely found outside of its range in the south-central and central Midwestern States. 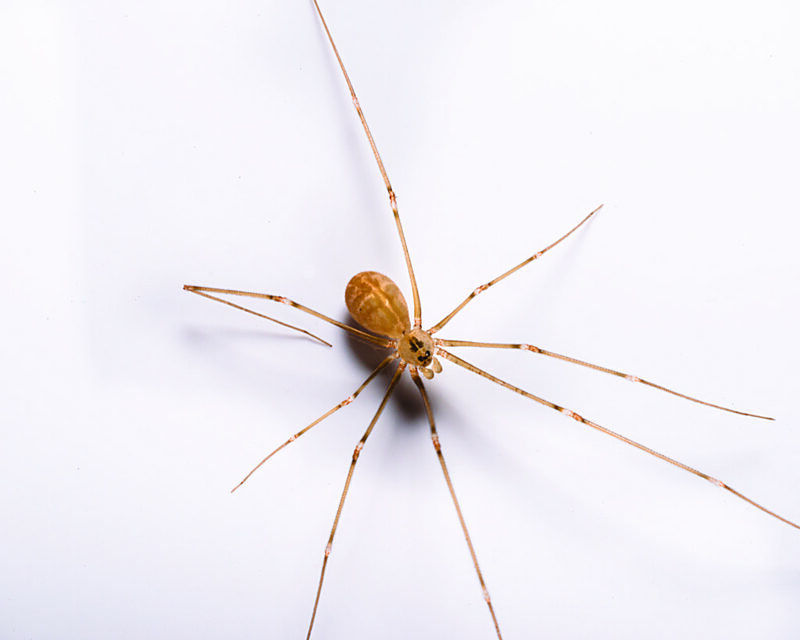 Once in a desirable nesting site, brown recluse spiders can occupy the same space for generations. Indoor, they can be found in dark cracks, in stored items in garages or basements, under or between objects like cardboard boxes, between pages of a newspaper, etc. Bites are rare, but in some cases, the venom can leave a wound that is slow to heal and very rarely results in death. Bites are routinely misdiagnosed and are actually more often from other spiders or insects. Body = 3/8th inch (11mm long) – about the size of a quarter when you include the legs. Avoid keeping clothing and shoes on the floor, especially if in an area known for spiders; consider storing inside plastic containers. Seal cracks and crevices around the home. Vacuum/sweep away webs in and around the home. Shake out all clothing that has been in the laundry basket before wearing/washing. Keep garages, attics, and basements clean and clutter free. If a spider bites you, contact your primary care physician for medical advice. Be sure to schedule your residential pest control service. Which Pests Are Surviving This Winter…And How?